The Venetian Las Vegas is a five-diamond resort and casino located in the center of the Las Vegas Strip. With 4,049 rooms, 3,068 suites, and a 120,000 square foot casino, the Venetian resort complex is the second largest hotel in the world. A one-of-a-kind resort and event venue, the Venetian is inspired by Venice, Italy and features replicas of famous Venetian monuments and landmarks, such as the lion of Venice, the Rialto Bridge, and Piazza San Marco. The resort even features a gondola ride through canals and performances by street performers, making visitors feel as if they really are in Venice. The Venetian also features the very popular TAO nightclub, where OTS has produced corporate after parties and programs. TAO features asian inspired decor, and boasts 8 private “sky boxes,” a terrace that provides gorgeous views of the Las Vegas strip, 2 dance rooms, a 20 foot tall Buddha statue, and an infinity pool with koi fish. It also includes TAO Beach, which is the day club and party pool, featuring seven different luxury cabanas. TAO and TAO Beach both serve as great event spaces for a more relaxed and unique event. The Venetian Resort and Casino is one of On The Scene’s favorite Las Vegas event venues. Offering a wide variety of event spaces that are perfect for a large corporate multi-day program or a poolside reception, the Venetian offers something for every type of event. As your behind-the-scenes partners, the On The Scene staff will work with you every step of the way to produce an event that meets your company’s vision and goals. 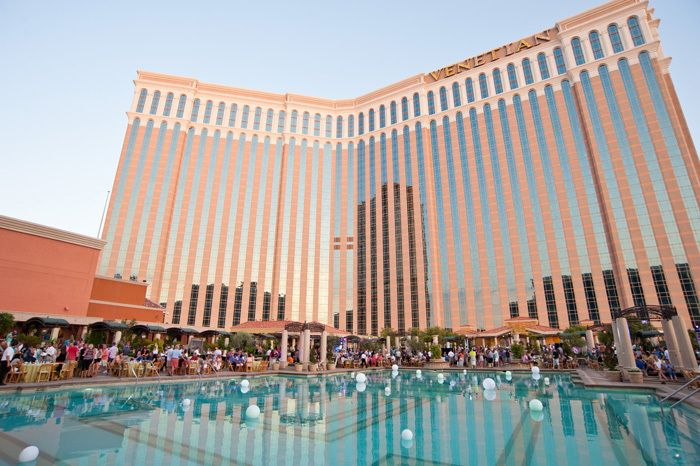 The Venetian also features the Sands Expo Center and Venetian Congress Center, which combined create 1.8 million square feet of meeting and event space. The complex offers exhibit halls, board rooms, meeting rooms, and a variety of gorgeous ballrooms that range from 4,168 square feet to 33,600 square feet. 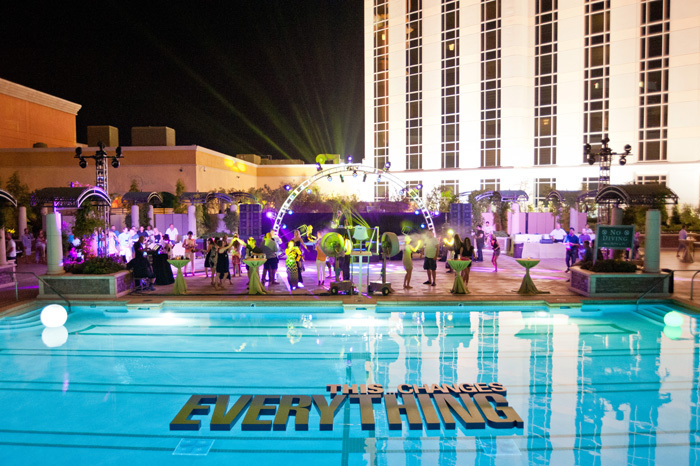 As an award-winning Las Vegas event management company, On The Scene is dedicated to producing one-of-a-kind corporate events that guests will remember for years to come. We have experience working in a wide variety of industries and can handle any type of event – no matter the size or scope. If you’re interested in hosting an event in Las Vegas, contact On The Scene today!